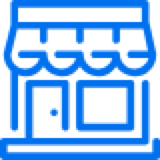 StackSource is the best way to find debt financing for your triple net retail real estate. Our technology instantly connects you with the right lenders and gives you the confidence to close your deal quickly. Get started by creating your online loan request in just 10 minutes. Your StackSource Capital Advisor will guide you through the lending process and negotiate with lenders to get you the best terms. Create one online loan request and get your deal in front of multiple top lenders across StackSource's nationwide network of hundreds of lending contacts. Lenders compete for your deal and you get the best rate and terms. StackSource's Capital Advisors have decades of experience in commercial real estate investment, development, and finance. You're working with real experts. Compare loan offers side by side in our online dashboard. Negotiating your debt financing has never been easier. What is the right time to seek out financing for a commercial real estate project? Here we’ll cover the items you need to have ready in order to line up financing quotes from lenders. There are lender who specialize in providing financing all the way up to 100% LTC for NNN property construction. Read about why it works for the lender, why the tenants don't just "do it themselves", and thoughts from one of these developers. There’s been a counter-trend in the Retail asset class that’s outperformed all the struggling brick and mortar. That counter-trend revolves around NNN Retail properties — those buildings whose property taxes, property insurance, and common area maintenance are paid by the tenant. They’ve performed splendidly over the last several years, largely immune to the harsh conditions killing off fondly-remembered retail chains.